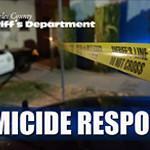 Los Angeles County Sheriff’s Homicide detectives are responding to investigate the possible stabbing death of a man. The incident occurred on Monday, June 18, 2018, at 6:54 a.m., on the 1100 block of Hacienda Place, West Hollywood. The Male adult victim was pronounced dead at the scene.